Gartner’s annual Business Intelligence & Analytics Summit kicked off earlier today where we are focused on sharing our perspective and solutions with customers, partners and industry leaders interested in big data and business intelligence. Later this week, we’ll also be at the GigaOM Structure event. While we’re out attending all these industry events, our engineering efforts have been moving at light speed. I’d like to highlight two efforts from our engineering team that have now come to fruition. 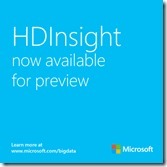 First, I’m excited to announce that a preview of the Windows Azure HDInsight Service — our cloud-based distribution of Hadoop – is broadly available through the Windows Azure Portal. The Windows Azure HDInsight Service is built on the Hortonworks Data Platform to ensure long term compatibility with Apache Hadoop, while providing customers with the low cost and elasticity of cloud computing. 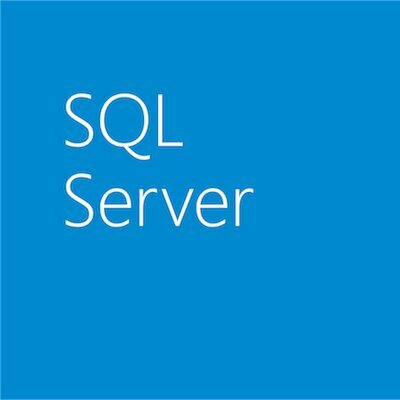 Starting today, customers can perform Hadoop-based big data analysis in the cloud through the Windows Azure Portal, paying only for the storage and compute capacity that they use. The preview will enable customers to deploy permanent clusters with up to 40 nodes. Customers like Microsoft’s own 343 Industries and UK-based Microsoft partner Ascribe have been early adopters of HDInsight Service and are enjoying the benefits of big data insights at cloud speed and scale. Their feedback, and the feedback of all those who participated in the private preview was invaluable – thank you! Based on their participation we are able to deliver a rock solid and high performance service. We are excited to offer this preview broadly to everyone and look forward to hearing your feedback. Second, we’ve also been working with Hortonworks as part of our commitment to accelerating enterprise adoption of Hadoop by offering a solution that is open and fully compatible for the long run with Apache Hadoop. As part of that I am excited to share that last week Hortonworks reported that the Hadoop community voted to move Hadoop on Windows to the main Apache Hadoop trunk. The engineering team at Microsoft and Hortonworks in collaboration with the Hadoop community made a number of enhancements to the Windows Server and Windows Azure Hadoop development and runtime environments which were merged into the Apache trunk. All of these enhancements are also incorporated into our Windows Azure HDInsight Service and HDInsight Server products and in Hortonworks’ HDP for Windows product. Moving Hadoop on Windows to the main Apache Hadoop trunk and our continued investment in the Hadoop project is important to us. It means that when our customers choose to use our HDInsight products, they can do so with the confidence of knowing they are 100 percent Apache Hadoop compatible now and in the future. Big data holds great promise – for companies and for the world. We’re excited about the progress we’re making with our products, and the community, to help customers realize that promise and we’ll have more to share over the next few months. If you’re attending the Gartner BI Summit, visit our booth to meet our business intelligence experts and enter to win an Xbox 360 with Kinect. Also, don’t miss Herain Oberoi and Marc Reguera’s session on the new self-service BI capabilities in Excel 2013 on Tuesday at 3:15PM, and a chance to win a Surface with Windows RT. If you’re attending GigaOM Structure, be sure to stop by our booth hear more about our approach to big data. For those not attending these events, follow us on Facebook and Twitter @microsoftbi to get the latest on Microsoft at the Summit.